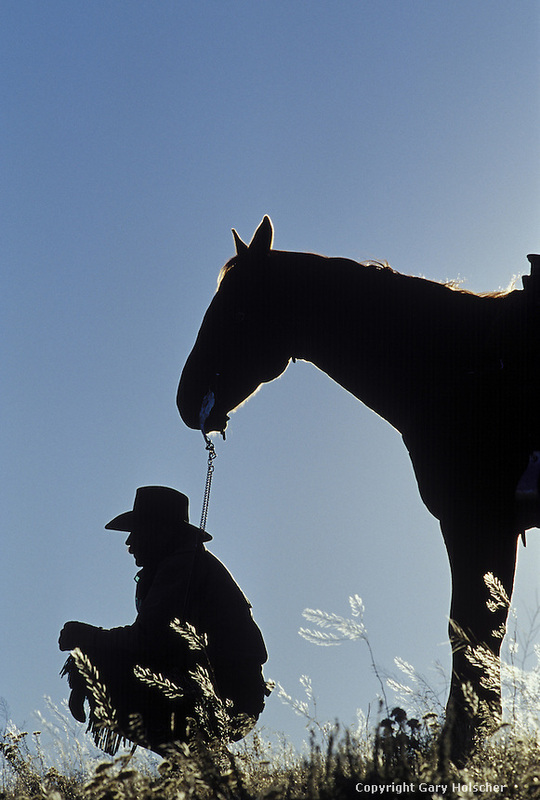 Cowboy and horse in silhouette. Ponderosa Ranch. Senaca OR.